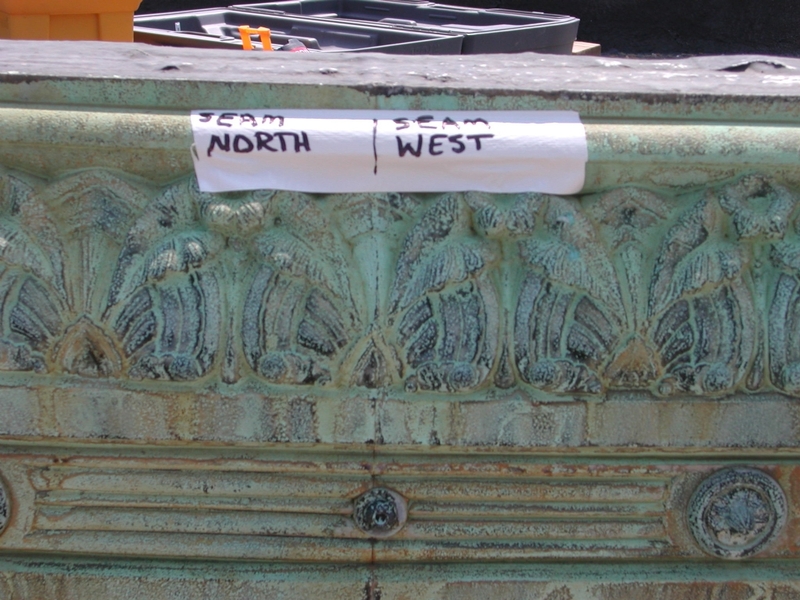 After the conservation treatment to the bronze cast sculpture fountain, a rich brown patina was applied with ferric nitrate & potassium potash. This was applied by heat on the surface. A clear coat sealer was also applied for protection and then a wax coat for added strength. 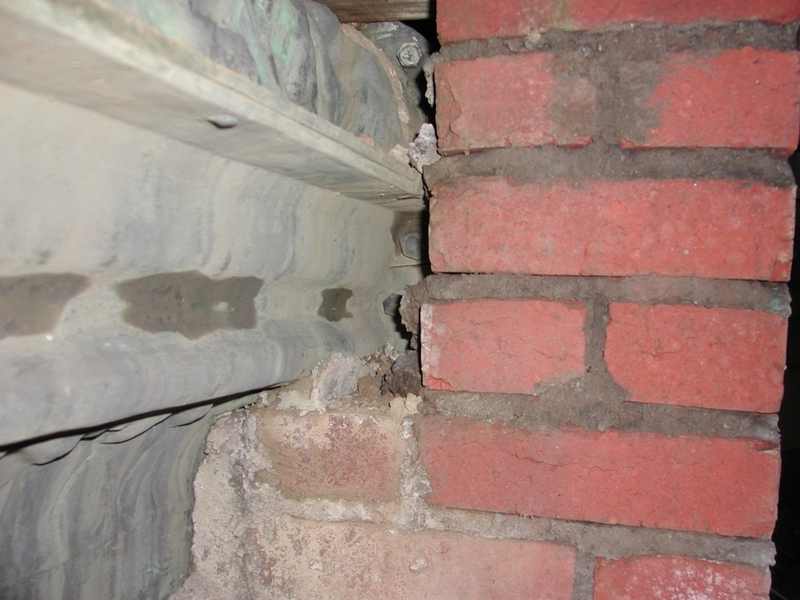 Close-up view before conservation treatment exhibiting corrosive attack normally in areas related to water retention. 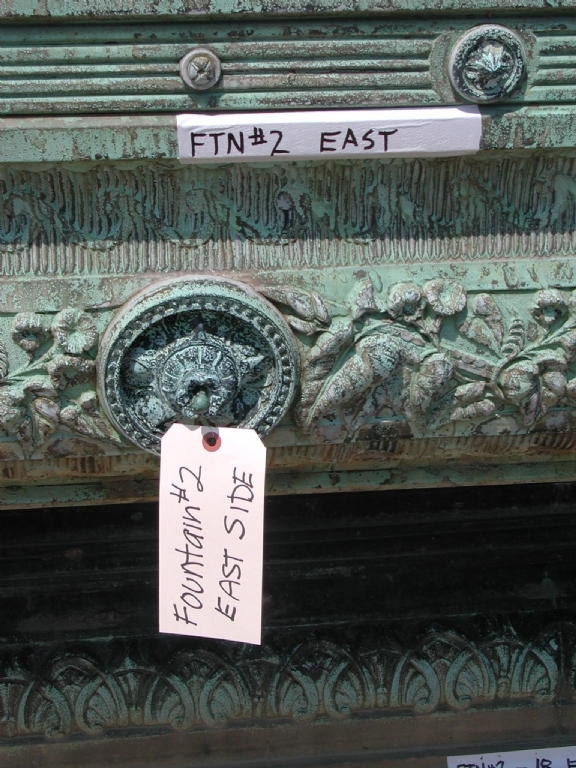 Side view of sculpture fountain before conservation treatment - All surfaces are tagged and marked before removal of the sculpture fountain to ART in Lancaster PA where restoration will take place. 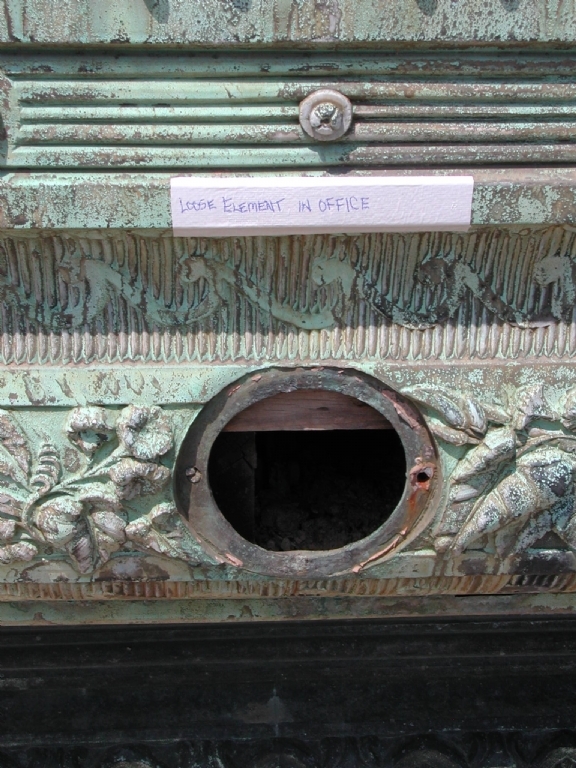 All treatment was performed at ART Research Enterprises, Inc. by professional technicians under the supervision of conservators Mike Cunningham & Becky Ault. 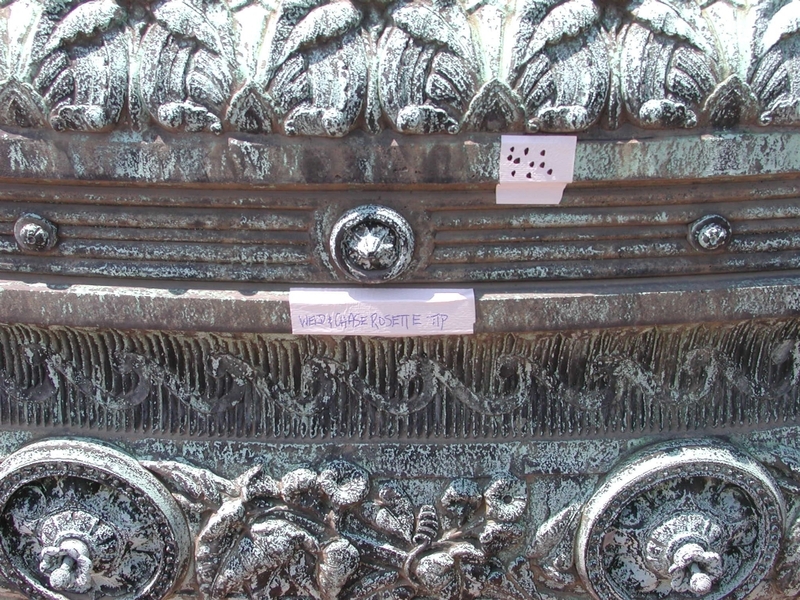 This is a view of an external seam where the sculpture had been originally bolted together from the interior - documentation before removal of sculpture fountain. Here we are labeling all loose or missing elements before conservation treatment. 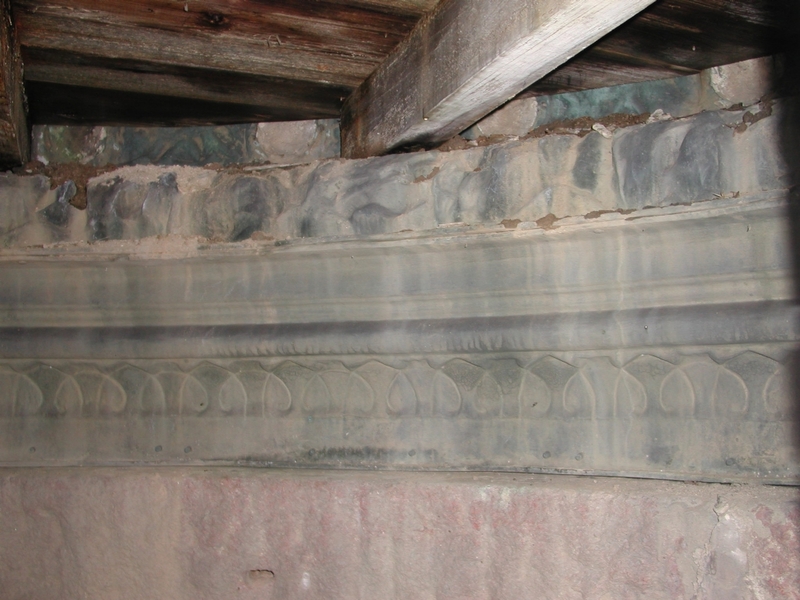 All loose Elements were stored & saved before conservation treatment. 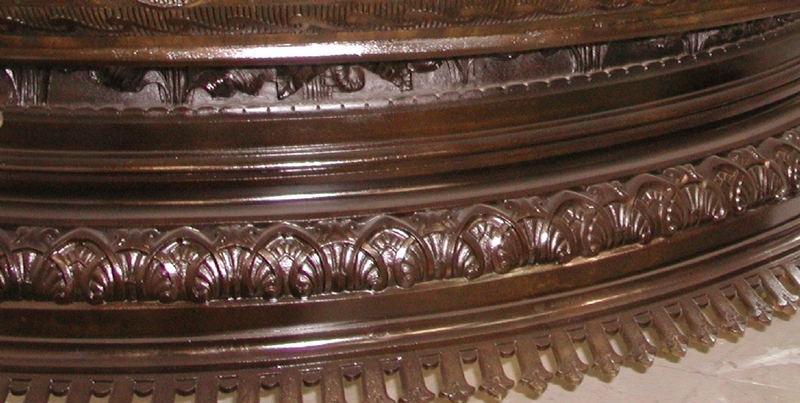 This is a close-up view before conservation treatment exhibiting the severe black appearance, matte, opaque sulfide crust on the surface of the sculpture fountain. 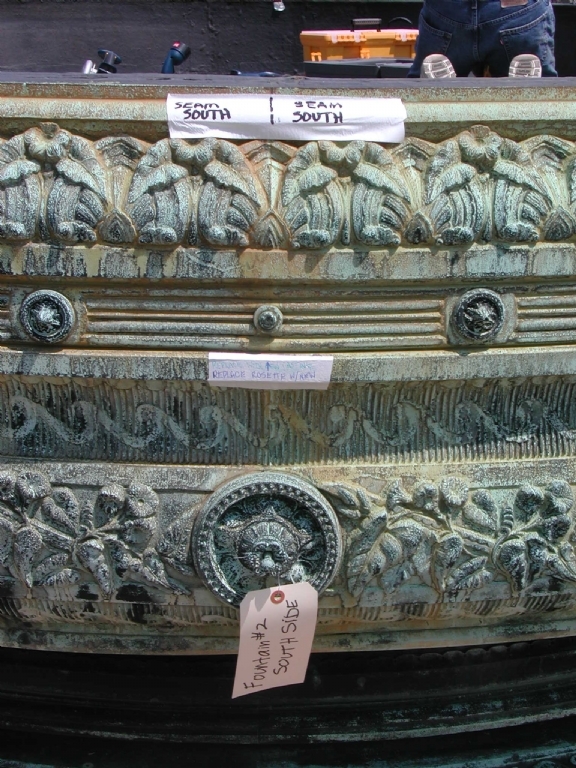 This is a close-up view of old support system of the interior sculpture fountain before conservation treatment. 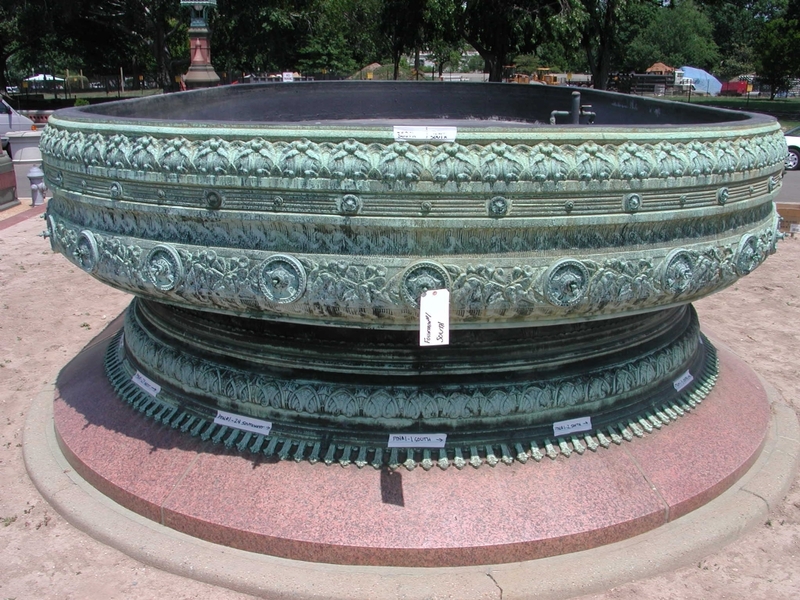 First of the two sculpture fountains lifted with special anchor fabrication performed on site to the interior of the fountain to support the weight without damage of the historical art object. 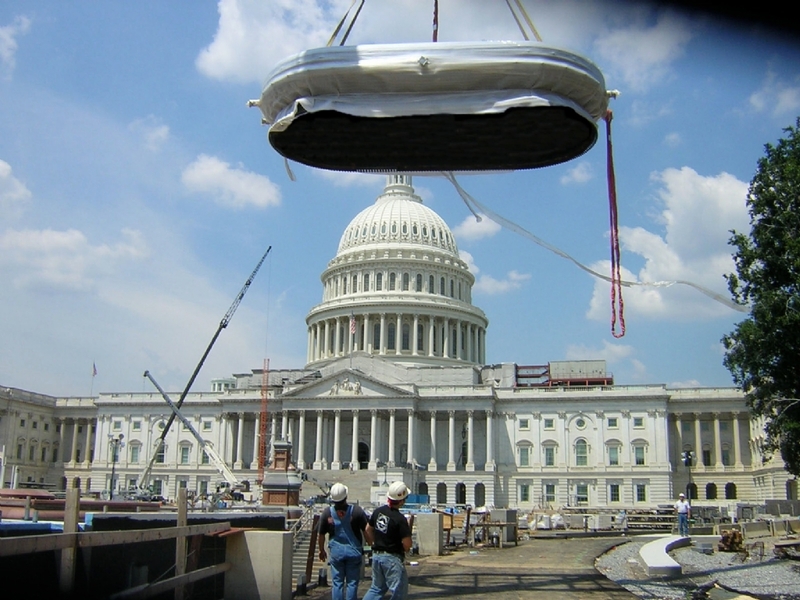 Exterior objects such as the US Capitol bronze sculptured fountains require technical skills, as welding by certified staff member to perform the delicate details. We have four certified welders on staff with expertise working on historical objects. 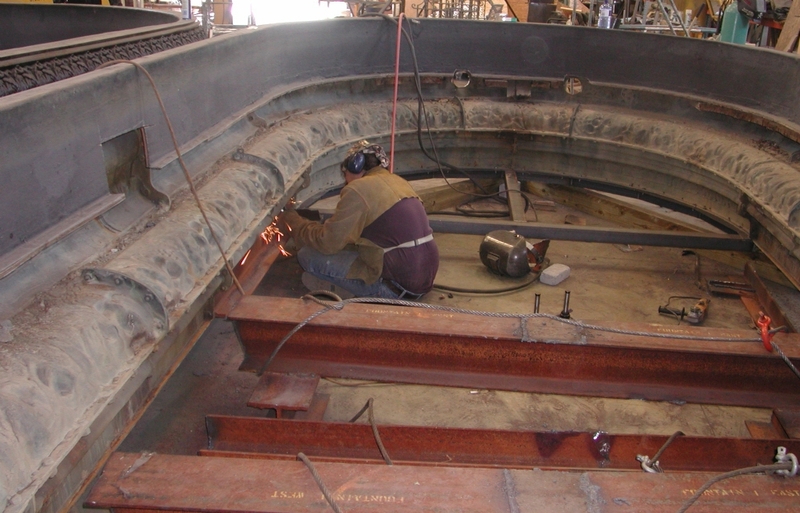 Each welding technician must go through a three-year apprenticeship program and are taught to apply a combination of knowledge, analytical thinking, and manual skills to the care of cultural materials. The technicians are taught to work by adherence to the AIC Code Of Ethics and Standards of Practice set forth by conservators. 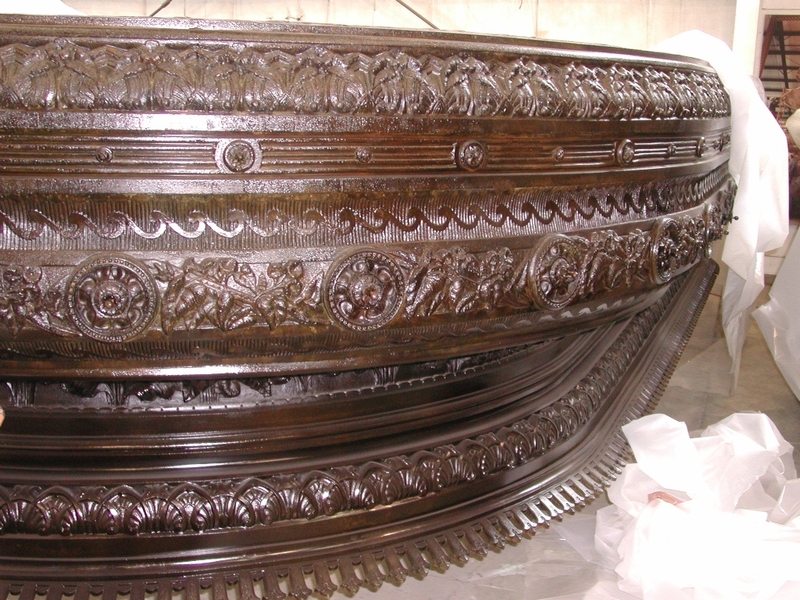 The technicians go by the guidelines and technical understanding of materials and fabrication to the maintenance program written by ART Research Enterprises, Inc. conservators. 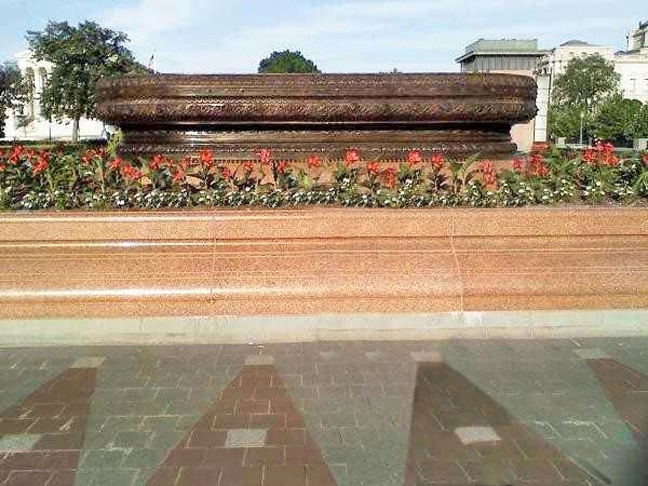 This is a close-up view showing the richness of color on the cast bronze & the detail of the craftsmanship by the old masters. 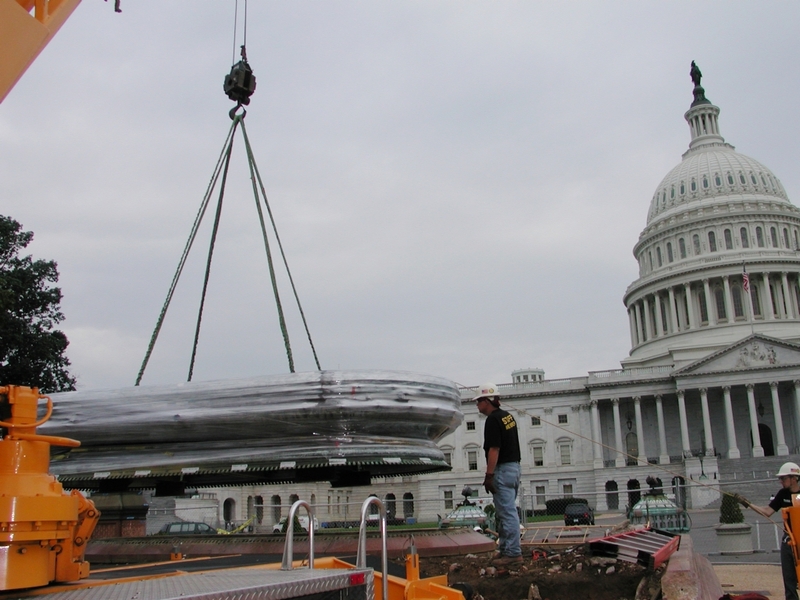 Loading the North & South side of the US Capitol bronze sculpture fountains. 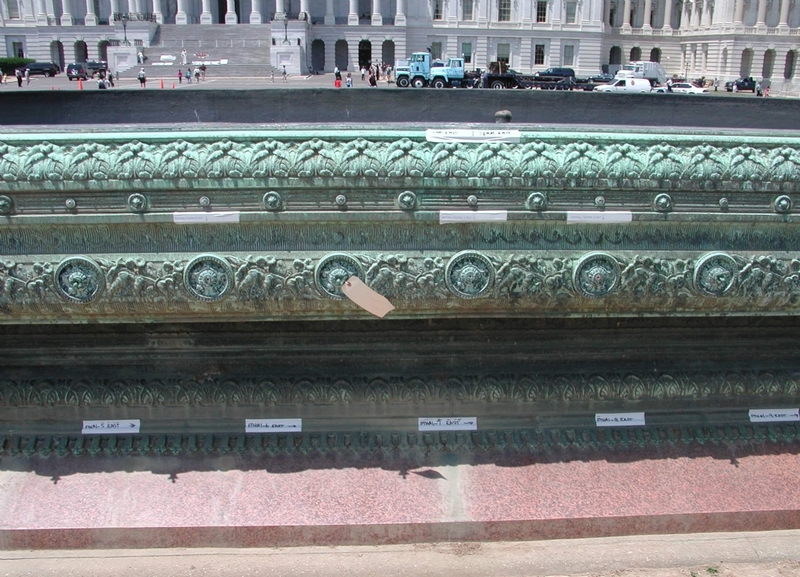 After the conservation treatment the bronze fountains were reinstalled on the Capitol grounds of the original site. The loading process is a tedious process. 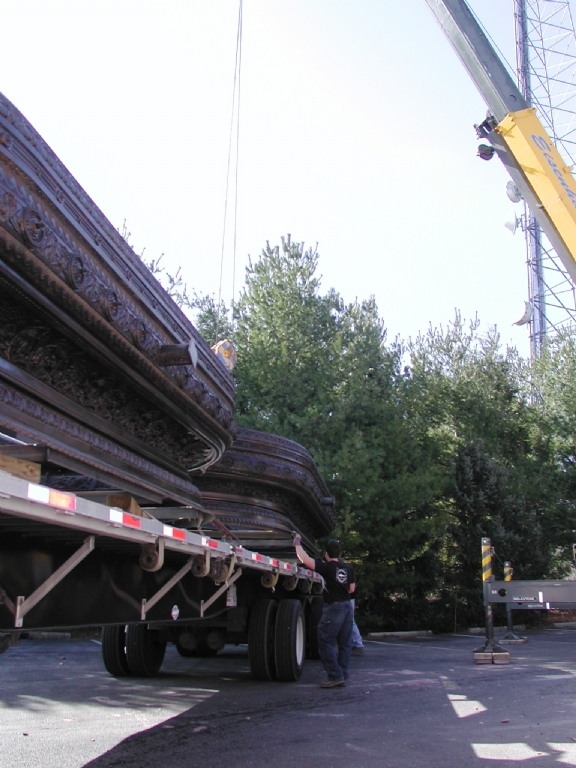 After the loading is completed, the bronze cast historical sculptured fountains were wrapped for protection during transit. 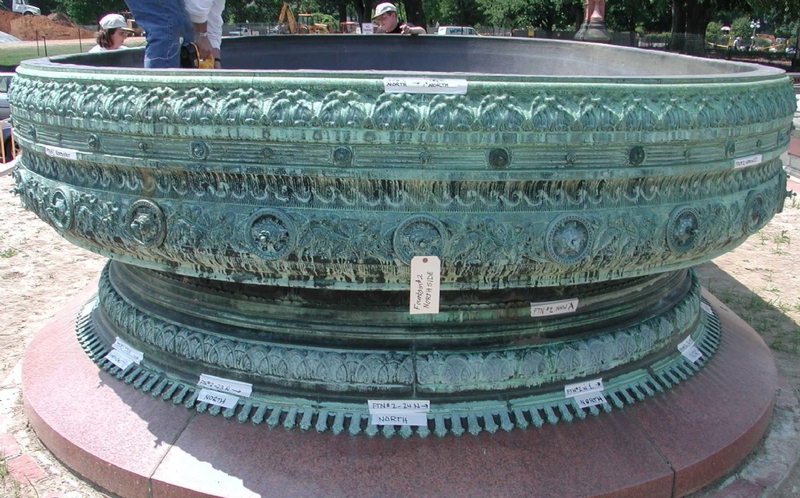 This shows the completed conservation treatment & re-installation of the cast bronze fountains at the US Capitol by ART Research Enterprises Inc. 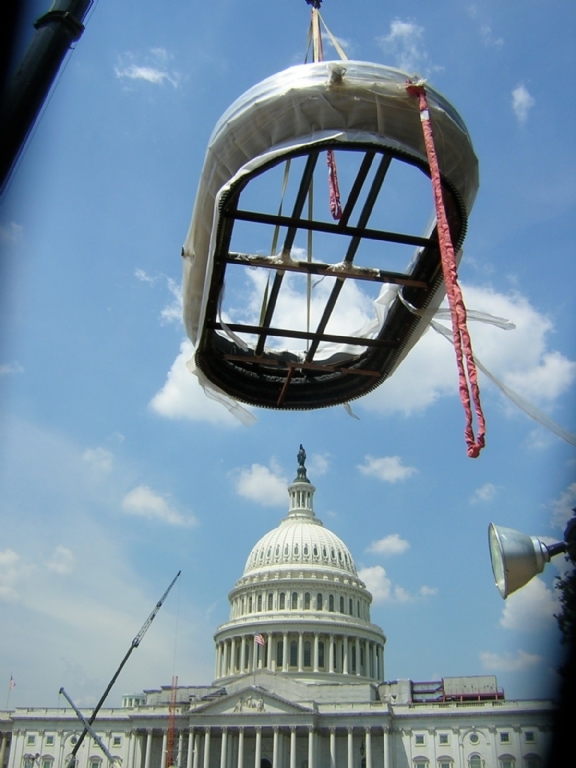 The US Capitol project included conservation on the Capitol Lamps, Lanterns, Fountains and Trolley Transom. 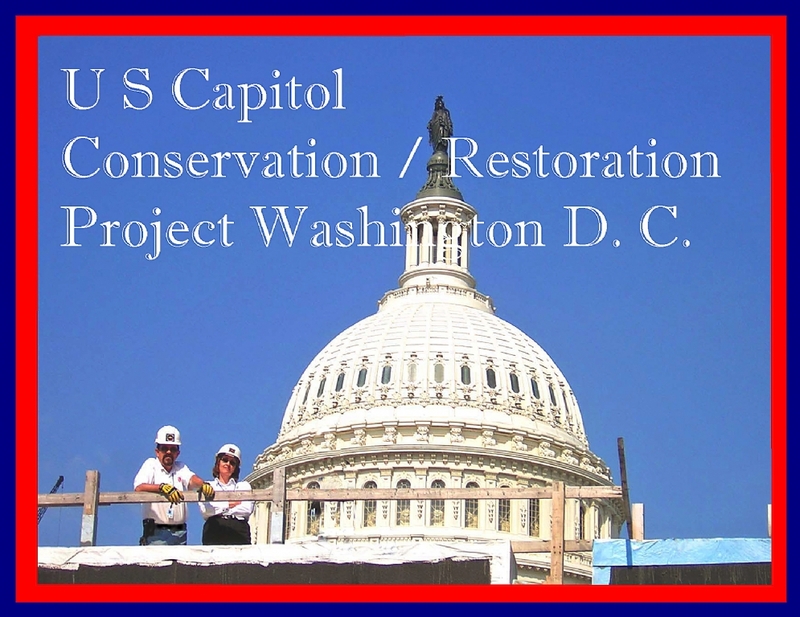 Conservators Mike Cunningham and Becky Ault led the project and the survey gathered by both conservators included condition assessments,photographic documentation, maintenance recommendations, and estimated resources needed to implement the recommendations.The written report also included the historical photographs and information about the sculptures on the grounds of the U S Capitol collection. 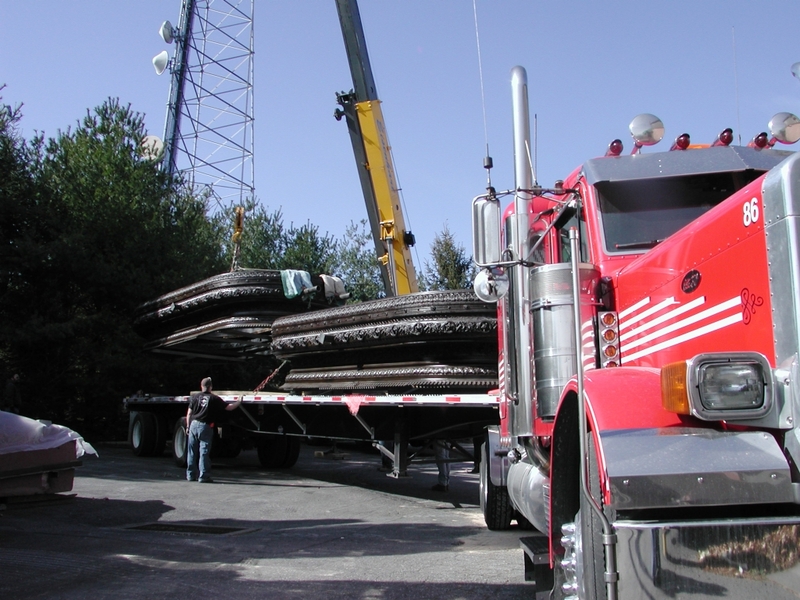 There were four phases in the survey - planning the survey, conducting the survey, writing the survey, and developing a Long-Range Maintenance Plan.